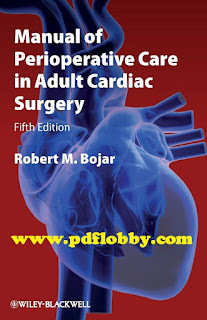 You can download Manual of Perioperative Care in Adult Cardiac Surgery 5th edition by Robert M. Bojar, free in pdf format. 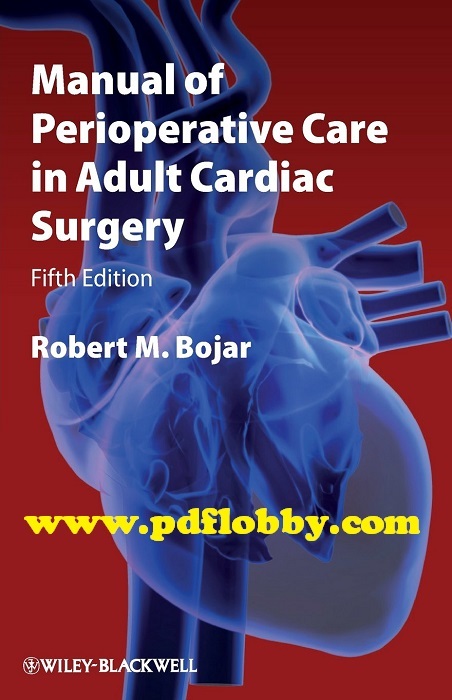 The fifth edition of Bojar’s Manual of Perioperative Care in Adult Cardiac Surgery remains the gold standard for management of adult patients undergoing cardiac surgery. The easily referenced outline format allows health practitioners of all levels to understand and apply basic concepts to patient care–perfect for cardiothoracic and general surgery residents, physician assistants, nurse practitioners, cardiologists, medical students, and critical care nurses involved in the care of both routine and complex cardiac surgery patients. This comprehensive guide features: Detailed presentation addressing all aspects of perioperative care for adult cardiac surgery patients Outline format allowing quick access to information Chronological approach to patient care starting with diagnostic tests then covering preoperative, intraoperative, and postoperative care issues Additional chapters discuss bleeding, the respiratory, cardiac, and renal subsystems as well as aspects of care specific to recovery on the postoperative floor Updated references, information on new drug indications and new evidence to support various treatment/management options. Practical and accessible, this new edition of Manual of Perioperative Care in Adult Cardiac Surgery is the essential reference guide to cardiac surgical patient care.